A business flowchart shows the steps that make up a business process, along with who's responsible for each step. They are useful for analyzing current processes, planning improvements, and crystallizing communication between process participants. 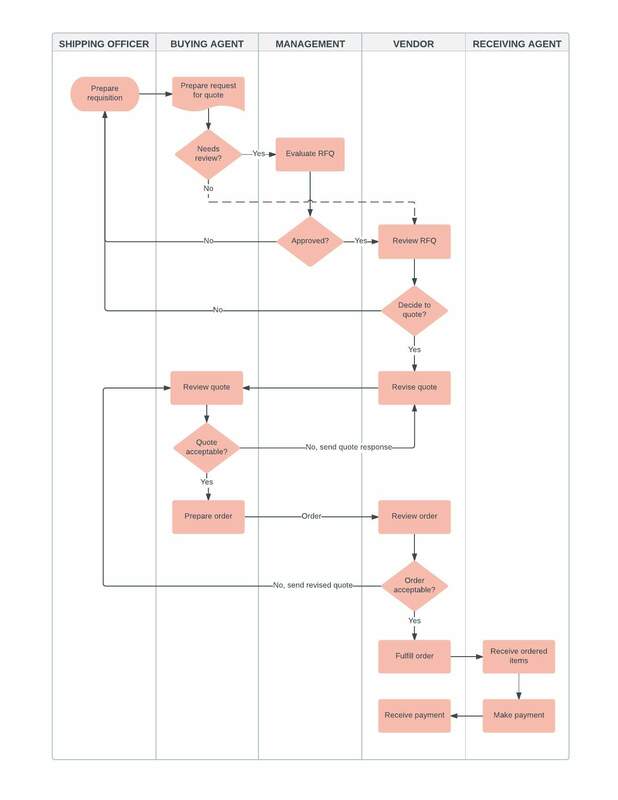 To start improving your business processes, simply customize this business flowchart example template to fit your needs. After signing up for a free Lucidchart account, you can edit the template within our easy-to-use interface.